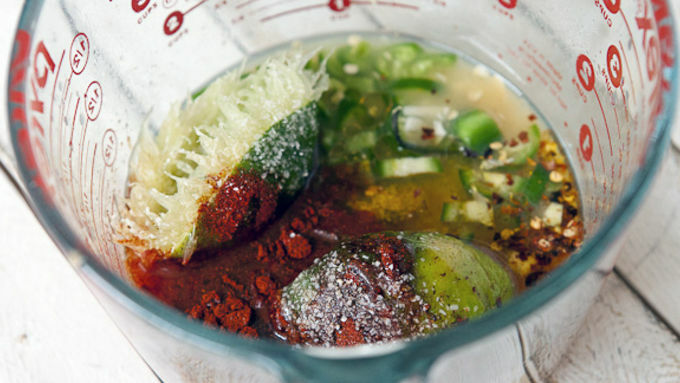 In a medium bowl, mix together lime juice, olive oil, tequila, orange juice, pepper, garlic, honey and spices. Add pork tenderloin to marinade. Cover with plastic wrap and store in the fridge overnight or for at least 4 hours. If possible, flip once so the tenderloin marinates evenly. When ready to cook, preheat grill to medium-high heat. Add tenderloin and let sear for 10 minutes on the first side. After 10 minutes, flip the tenderloin. Pour a bit of the leftover marinade over the tenderloin. Cook for another 8-10 minutes or until the tenderloin reaches 145°F in the thickest portion. Use a meat thermometer to make sure it hits the right temperature. Remove tenderloin from grill, wrap in foil, and let rest for three minutes. 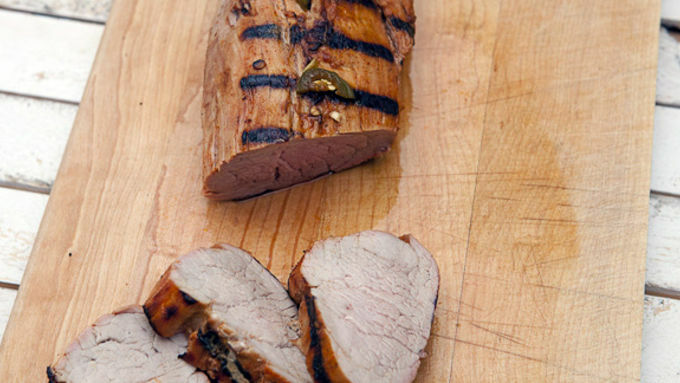 Slice tenderloin into 1/2-inch rounds and serve while warm! 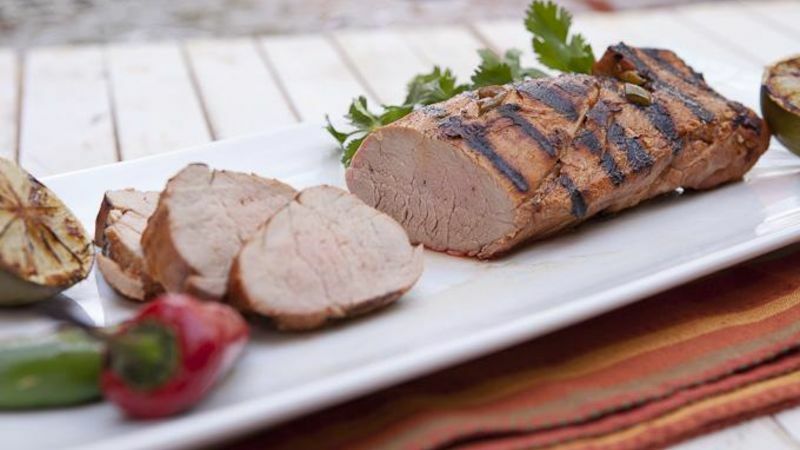 This grilled pork tenderloin is ready to party with a tequila and lime juice marinade and the perfect blend of spices. Looking for something zesty and a little bit different for Cinco de Mayo? 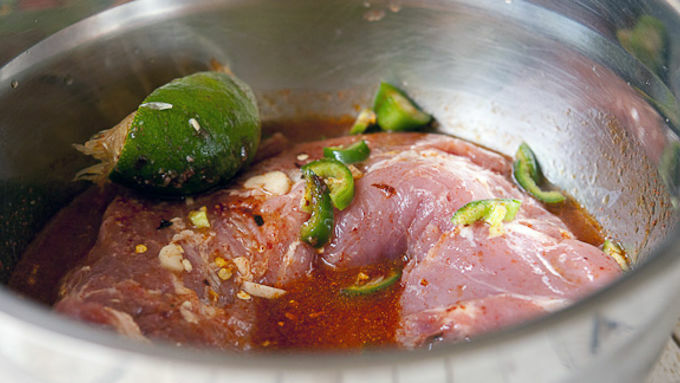 You found it in this pork loin marinated in tequila and lime. (Yes, tequila!) Cinco de Mayo is one of my favorite eating days of the year because I love to eat (and cook) Tex-Mex. Queso, salsa, guacamole, margaritas ... it’s all good to me! I can typically make a meal out of appetizers on Cinco de Mayo, but it’s sometimes nice to have a more substantial main dish for people. 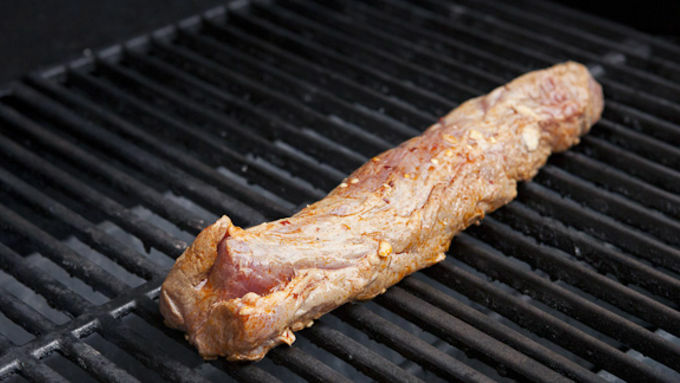 For that, let me introduce you to my Tequila Lime Pork Loin. 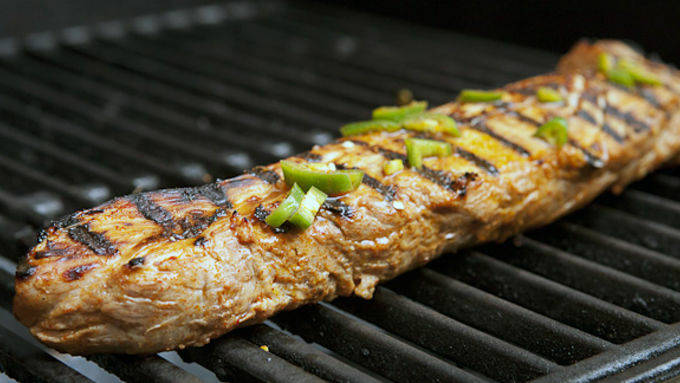 This is a great alternative to barbecued beef when the summer grill season hits, too.